The Ukrainian militia have handed over to Malaysian experts the black boxes from the Malaysian Boeing-777 airliner that crashed in east Ukraine on July 17. 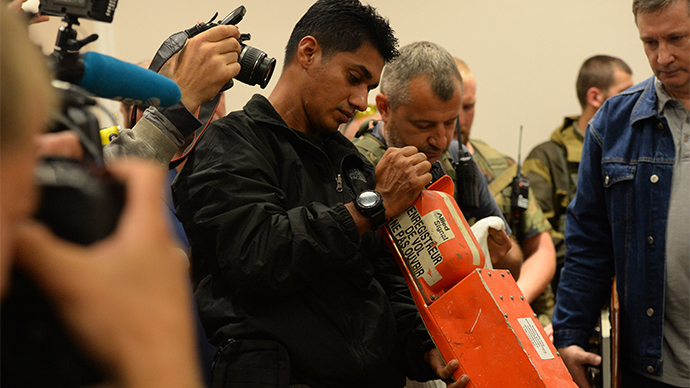 The Donetsk People's Republic's (DPR) Prime Minister Aleksandr Boroday handed over the black boxes from the Malaysia Airlines Flight MH17 early on Tuesday. 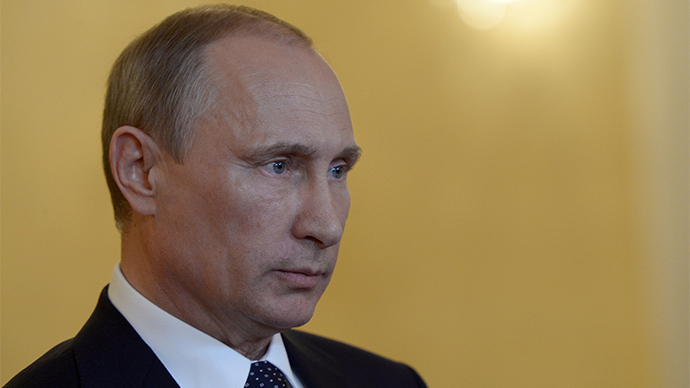 Both sides signed a document, finalizing the procedure. 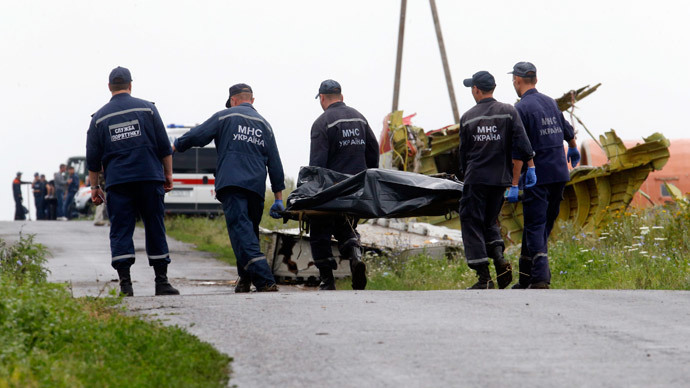 Earlier, Malaysia's Prime Minister Najib Razak said an agreement had been reached with militiamen at the scene of the crash that the Malaysia Airlines Flight MH17 black boxes will be handed over to Malaysian authorities in Donetsk at 9pm Ukrainian time. The bodies of 282 victims are being moved by train before being flown to Amsterdam for repatriation. 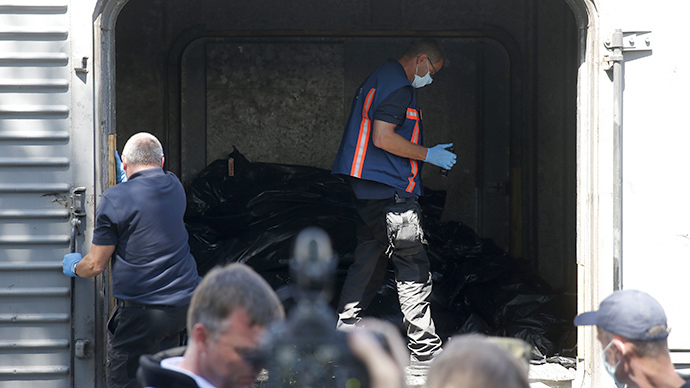 At least three refrigerated train carriages with bodies of those killed have departed from the town of Torez, near the site of the crash, to the town of Ilovaysk and are on their way to Donetsk. Malaysian aviation experts arrived in Donetsk, eastern Ukraine, to investigate the crash of the MH17 flight. Earlier local militia said they found presumed data recorders at the site and would hand them over to international investigators. The agreement states that investigators will have uninhibited access to the crash site to begin their investigation. Prime Minister Najib Razak called for “continued communication in good faith” and hoped that “justice may be done”. A truce in the 40 km radius zone around the Malaysian Boeing crash site has been agreed with Donetsk self-defense forces, Ukraine’s Prime Minister Arseny Yatsenyuk said. 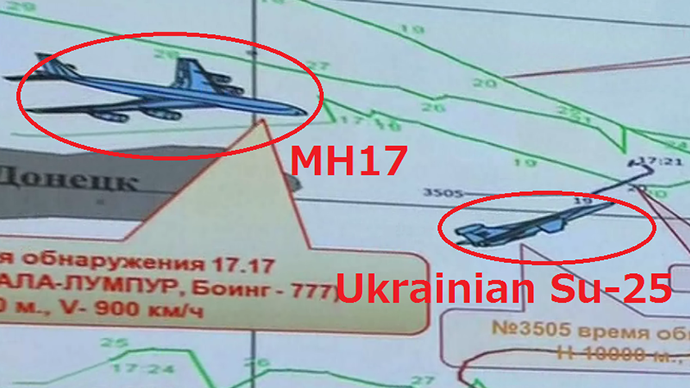 While the West accuses self-defense forces in eastern Ukraine of tampering with evidence at the crash site of Malaysia Airlines Flight MH17, there is yet to surface any evidence that sheds light on the exact events. The Boeing 777-200ER, which was on a scheduled flight from Amsterdam to Kuala Lumpur with 298 passengers and crew, was shot down over Ukraine on 17 July. There were no survivors.